As a Lean LaunchPad instructor you dedicate time and energy to work with teams navigating business model validation through customer development. Staying up-to-date with the teams you're advising is difficult work. Your success or failure as an instructor depends on your efficacy getting teams to make positive changes, growing to be self-sufficient. We worked with Lean LaunchPad instructors, conducting our own customer discovery interviews to build a platform that would solve the problems you face. With the ability to enable instructors to virtually sit-in on teams' daily tasks, it's no wonder the Discovery Platform™ has become the choice platform of Lean LaunchPad programs around the world. Give yourself a seat at the table to be part of the success stories of up and coming entrepreneurs, creating transformative change in your field. Lean LaunchPad is an entrepreneurship methodology created by Steve Blank to test and develop business models based on querying and learning from customers. It is based on the scientific method and combines experiential learning with the three building blocks of a successful lean startup: Alexander Osterwalder's "Business Model Canvas", Steve Blank's "Customer Development Model, and Agile Engineering. Have a lasting impact on the success of teams. With many teams to track during a cohort, you can't be present for all of their conversations, pivots, and developments. Teams using the Discovery Platform™ start off by adding hypotheses to their Business Model Canvas. You can then comment on individual hypotheses, inspiring them to think critically about their proposed business models as they begin conducting customer interviews. You need to see the full picture of their customer development conversations affecting the changes they make to their business models. You will have a inside look on their interviews (including the actual audio of those conversations). As the teams generate insights that validate their business models, you'll add feedback to their interviews sharing your insights, tips and critiques. The Discovery Platform™ is the next best thing to being present with the teams as they go through the process of achieving product/market fit. Take a seat at the table and share your insights. As an instructor for Lean LaunchPad program, you are aiding teams in the process of finding product/market fit. How do you include yourself in their conversations as they develop and validate their business model? With Chat, BMC commenting and the Insight Engine you can have continuous conversations with each team, giving your own input and allowing them to benefit from your instruction. Share your thoughts and join each team as an ad hoc member. Seamlessly move between teams, be alerted to developments. With dozens of teams to track in a cohort, you can't be present for all of their conversations, pivots, and developments. Other apps make switching between teams difficult and slow, the Organization Tree in the Discovery Platform™ makes navigating between teams and cohorts a breeze. 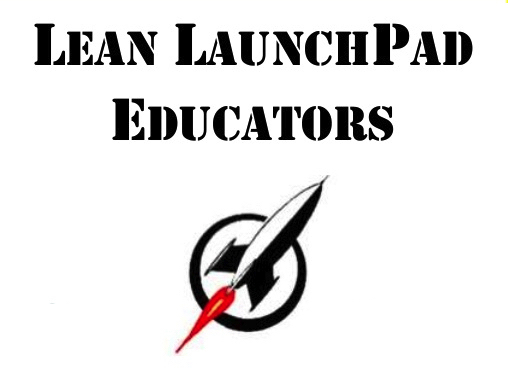 It was built for and tested by Lean LaunchPad instructors like you. Become aware of new Chat messages, even if you're viewing another team. Each new chat message triggers a notification that will lead you to catch up with the conversation. The Notification system also alerts you to new BMC comments and feedback insights. The ultimate goal of the cohort is to have each team validate their business model. Use Analytics to follow week-by-week as teams work from a BMC full of unresolved hypotheses, narrowing down their business models with validated and invalidated hypotheses based off insights from their interviews. View the ratio of insights to interviews to see if team members conversations are bringing the answers they need. Hold yourself and fellow instructors accountable for helping teams to succeed. See each instructor engagement in the Instructor Stats section of Analytics. Be part of a new wave of entrepreneurs changing the world. Your participation in a Lean LaunchPad program gives you the opportunity to not only stand out among your peers, but gain camaraderie with the teams you instruct. Your work with teams in the Discovery Platform™ remains to be stored after each cohort ends, giving you a portfolio of data to show just how much impact you've made. Use the Scoring feature to rate teams each week on a customizable set of factors. This feature enables you to monitor the progression of teams' program completion requirements as well as their understanding of the Lean LaunchPad concepts. By the end of the cohort teams that succeed will have noticeable improvements and you'll have evidence to prove your efficacy as a Lean LaunchPad instructor.